My mother once told me, there was a time when people wouldn’t say the “c” word in polite company. Cancer, that is. Perhaps it was because in those days, there was little hope for recovery. But now people discuss their battle with cancer or whatever illness it may be, openly and often vividly. Not so much the case for those diagnosed with serious mental illness or for the caregivers and loved ones of individuals living with mental illness. Yet, as with other illnesses, there is hope. But this is not common knowledge because of the stigma around mental illness. 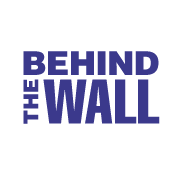 Through our work interviewing parents for our collection of stories entitled, Behind The Wall: The True Story of Mental Illness as Told by Parents, my sister and co-editor, Elin Abercrombie, and I learned there is a whole other subset of high level parenting in our society. These are quiet heroes who have bravely told us their stories, experiences that are not typically conveyed in polite company.